Though it's not an official holiday, Valentine's Day is still a big day for many retailers. And while we'll see discounts on everything from roses to jewelry, not every promotion is worth your time or money. To separate Cupid's hits from his misses, we researched past Valentine's Day sales to help you purchase your significant other the right gift at the right price. 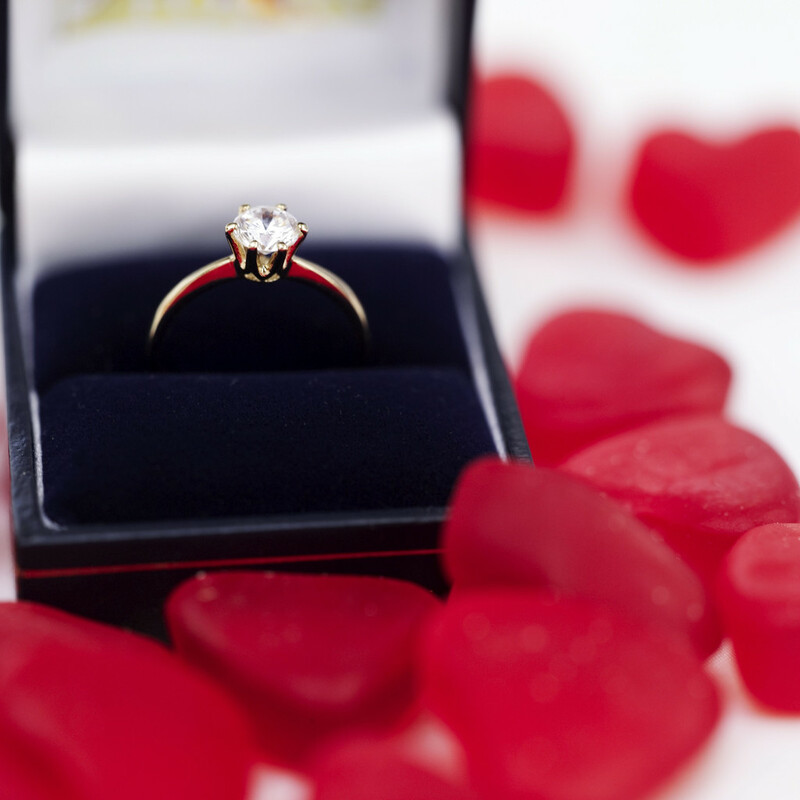 Nothing says "I love you" like diamonds and gold. At least that's what retailers want you to believe. Last year, jewelry was among the first items discounted in the weeks leading up to February. Naturally, this year you can expect more jewelry deals with the first Valentine's Day sales appearing this week. Amazon kicked things off last year with a sale that took up to 87% off select jewelry. In the two weeks leading up to the big day, you can also expect to see sales from ICE.com, Blue Nile, and Szul, with discounts ranging from 20% to 85% off. Some stores like Tiffany will offer free or expedited shipping. But for maximum savings, we recommend using stackable coupons (where available) to further increase your savings. Limoges Jewelry, for instance, has traditionally taken off between 20% to 25% off marked down jewelry via a stackable coupon. So while you'll see plenty of standalone Valentine's Day sales from the majority of jewelers, it's the sales with stackable coupons that offer the best value. No Valentine's Day is complete without a little chocolate and wine, but you may want to save the former for after Valentine's Day. Retailers know chocolate will be in high demand in February, so many pre-Valentine's Day chocolate sales will be anything but rich. It's not until the day after Valentine's day when you'll see the killer chocolate deals from names like Godiva, which in 2013 took 20% off chocolates before Valentine's Day, and 50% off chocolates and gifts after Valentine's Day. Instead of chocolate, you may want to toast your significant other with Wine.com's Valentine's Day sale, which last year took up to 33% off Valentine's Day gifts with an extra 10% off via a stackable coupon. While that sale wrapped up by end of January, procrastinators were able to take advantage of the site's 1-cent shipping offer (applicable to all orders) which ended just days before the 14th. Much of the country has experienced a colder-than-average winter, so come February retailers will start shedding their overcoats for lighter, spring apparel. If you play your cards rights, you may be able to snag some stellar deals on winter apparel. Lands' End had end-of-winter sales in early February last year taking up to 70% off select winter apparel. It then took an additional 25% via a stackable coupon. Other merchants to keep an eye on include Fossil, Juicy Couture, Columbia Sportswear, and Brooks Brothers, all of which had winter apparel discounted between 50% to 86% off just days before Valentine's Day. If your ideal Valentine's Day apparel includes lace and bows, we have semi-bad news. Lingerie stores like Victoria's Secret didn't offer much in terms of sales last year. Victoria's Secret offered 20% off bras early in February and later offered free 2-day shipping (on orders of $100 or more). Procrastinators will be glad to know that based on last year's sales, beauty deals are abundant in the days leading up to Valentine's Day. The Body Shop, FragranceX, and Elizabeth Arden are just a few retailers that took up to 80% off beauty items. And these sales were spread through the first two weeks of February, with deals coming in as last as two days before the big day. If planned right, you can have a successful Valentine's Day without going over budget. Just avoid some of the stereotypical items like chocolates and lingerie, and look for coupons that can be stacked onto existing sales. And while you may see some last-minute deals, we still suggest shopping early and adding some extra days for your gifts to arrive on time. Even better, set up an email alert now for the category of your choosing, to make your shopping even easier.